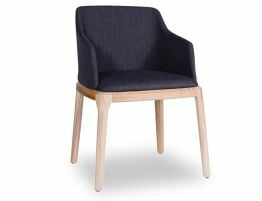 The Sargood Armchair is a chair that feels and looks so good! 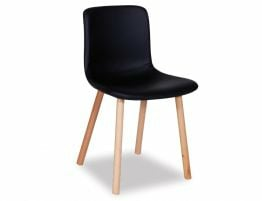 Stained black, this stunning adaptable modish style that represents a sleek high end formal dining feel or a more relaxed open and spacious Scandinavian lustrous feel. 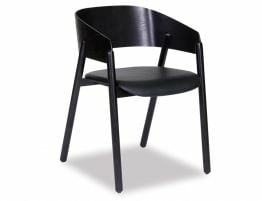 Call it what you will, a tub/ bucket/ or cava style chair, the Sargood Armchair is not only swanky but comfy as well. 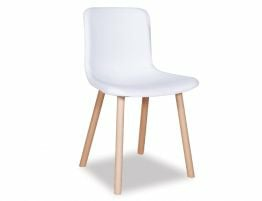 With this upholstered seat pad with the waterfall edge over hangs over the spacious seat base, supported by a circular leg that elongates the overall design hugging the supportive back rest. 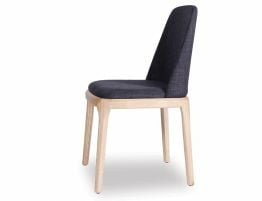 One of the most affordable solid American Ash armchairs The Sargood Chair brings a multiple of adaptable styles to reflect your interior. 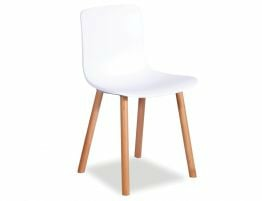 Whether it be paired with an Australian made rustic timber table for an industrious look or more formally to a sleek minimal design, the variables are endless with such a unique and complimentary design.